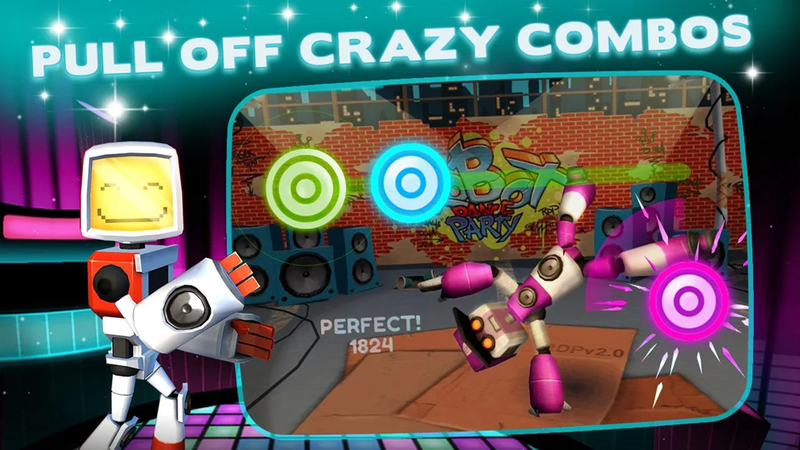 Assemble your own quirky robot out of a mash-up of scavenged parts and compete against other robots in mini rhythm dance battles! 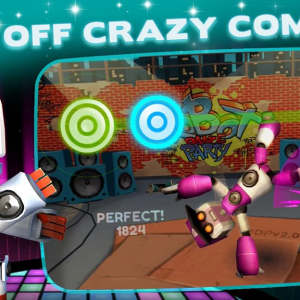 The parts you choose not only affect the look and personal style of your Dance Bots, but they determine how you dance too! 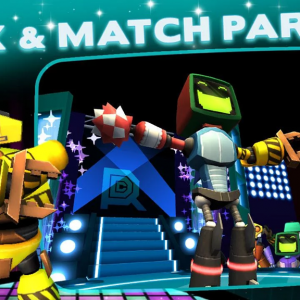 Build Your Bot and Your Boogie – Customize your robot with different parts for the head, arms, torso and legs. Mix and match the parts that have a built-in magnetism for certain songs to score maximum points. 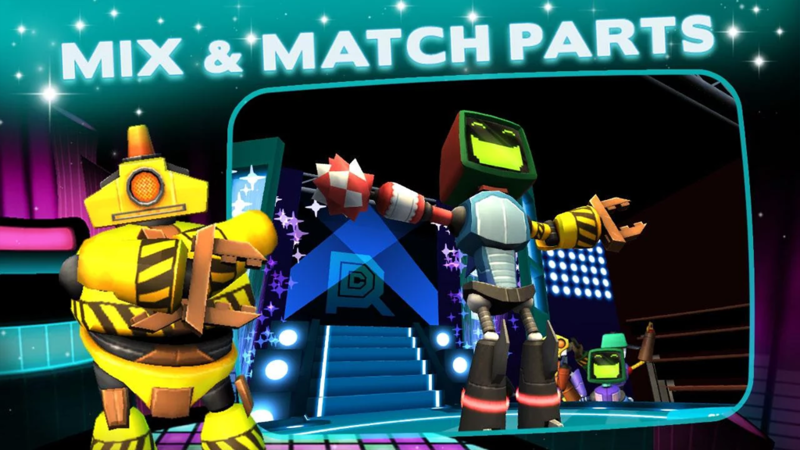 Dance Til You Short Circuit – Get down in solo mode, throw down in player versus player competitions, and relive your glory with instant replays sharable on Facebook. 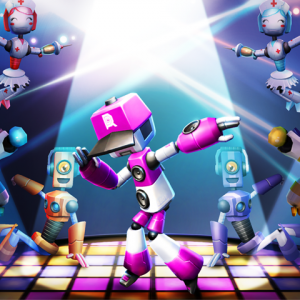 Bust a Move – Pull off a perfect dance sequence and backup dancers will slide in to boost your score. 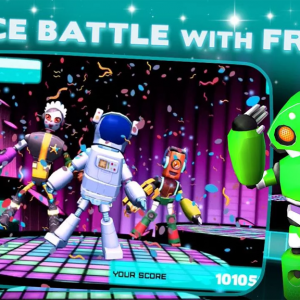 Go wild in freestyle mode and finish the dance with your own personalized strike-a-pose stance. 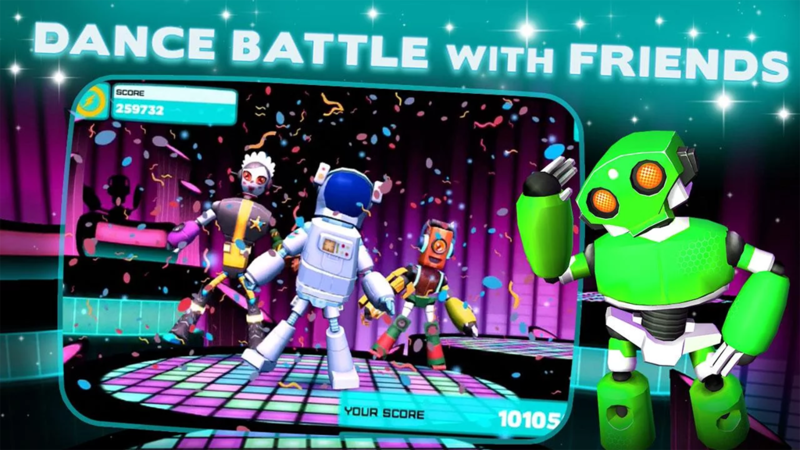 Collect Special Dance Moves – Score big to unlock special dance moves that can be performed with a little rewiring, such as the Helicopter, the Spacewalk, Go Bananas, and of course, the Robot. Collect these moves and many more to show up the competition.